Characteristics: Tempered glazing, 10mm thick, discreet aluminum profiles, motorized operation with cylindrical motor. Basic dimensions: Aluminum columns 80mm wide and 115mm deep. Motor box 100mm high and 160mm deep. The motorized retractable window RW80e consists of a moveable pane and one or two fixed ones. At the touch of a button, the moveable pane is slid and stored behind the fixed pane. It is ideal for shop fronts. Its operation is quick and easy, it protects the enclosed space from heat or cold, wind and noise. Modified to fit the needs of any individual project, its design maximizes the glass surface without the need for a frame. The moving pane’s motion is achieved by employing an cylindrical electric motor which is placed in an aluminum box at the top of the device. Very broad range of applications, in either professional or residential spaces. It is ideal for the perimetrical enclosure of spaces in restaurants, or verandas. 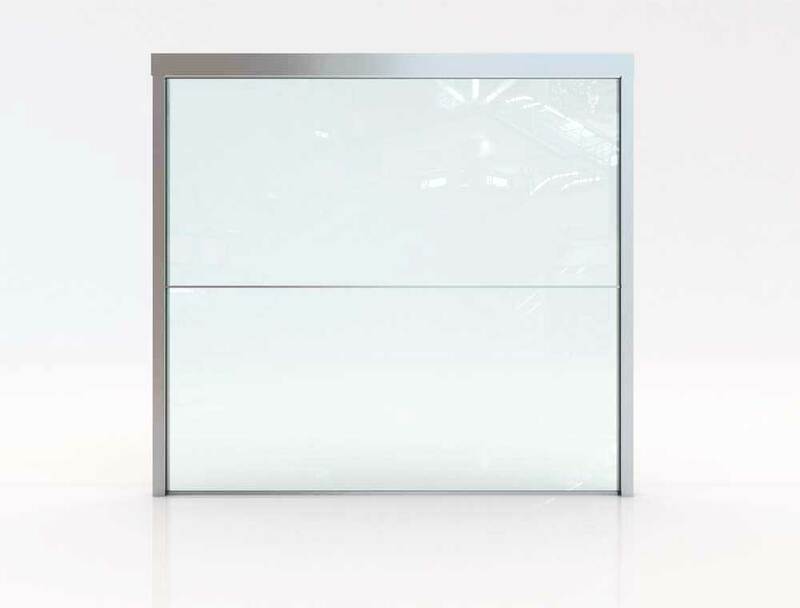 When opened, if the fixed pane is at the bottom, it creates a glass parapet – respectively, when the fixed pane is at the top end of the device, it can be placed onto a countertop. Smart choice of materials: High endurance material – aluminum and glass – which stand the test of and offer water-tightness and safety. Design flexibility: Variety of pane arrangements: either one fixed pane (top or bottom) and one moveable one, or, two fixed panes and one moveable one.